Dynamic - Casey Ashley's Classic Song - Why Lady Why? Dynamic – Casey Ashley’s Classic Song – Why Lady Why? 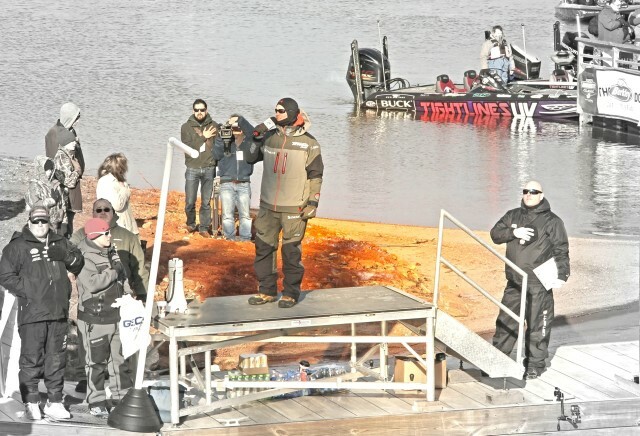 Those that listened closely to Casey Ashley talk from the Bassmaster Classic weigh-in stage heard him make quick reference to a song that got inside his head the night before the final day of competition and steered him to victory. Drill one layer deeper, and Casey confirmed that song’s lyrics lead to breaking-up with his favorite lure the night before, in order to embrace the most celebrated 35 pound trophy in the sport the next day. “If you’d have asked me before the Classic started to name the lure I might win on, I’d have told you a jig,” said Ashley, who we all know now, actually won on a homemade horsehead spin his dad Danny made for him. To those that know the humble 31-year-old’s overly simple approach to life, that answer would come as no great surprise, because while by no means is Ashley one dimensional in his lure selection, the jig is the one lure he leans on more often than any other to keep self-confusion out of his tournament game. Sure enough, Ashley danced with the one that brought him as the tournament began. 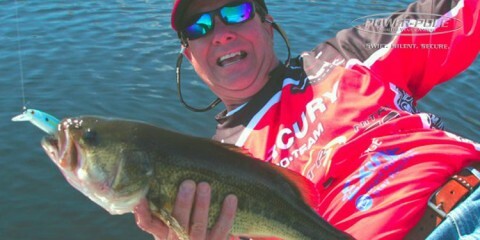 “I spent a ton of time, I mean a ton of time, throwing a jig in practice. And one particular day, I had 30 bites on it,” emphasized Ashley. “I was lying in bed the night before the final day of competition thinking about how the jig was letting me down. And I’m not sure why, because I hadn’t listened to it in a while, but “Why Lady Why” popped into my mind,” reflected Ashley. “It was easy before. I try lady, try. But it ain’t easy no more,” whispered Ashley in a quiet moment of deep personal connection to the lyrics of the 1980 #1 hit by country music super group, Alabama. “I’m not great with words unless they’re in a song. Lyrics say what I wish I had the ability to say myself,” said Ashley. Suddenly, late at night in a hotel bed at the Greenville Hyatt Regency, on the eve of the Classic’s final day, a song was telling the young man that cut an album a few years back with the help of avid angler and elite Nashville songwriter Rodney Clawson, that he’d have to fall out of love for at least a day with his beloved jig, if he were to have any chance at a come-from-behind Classic win. “The next morning, I got in my Tundra and just cranked “Why Lady Why” about six times. In fact, Jacob Wheeler was trying to talk to me, and I had it so loud, I couldn’t even hear what he was saying,” grinned Ashley. “When I’m at home, I spend a lot of time riding the back roads listening to music with my buddies, and we always listen to Justin Moore’s “Flyin’ Down a Back Road” and Alabama’s “Why Lady Why” – I’m not sure what it is about “Why Lady Why” – but we always play it,” said the Donalds, SC native. Fact is, Ashley has been singing along to the radio since he was a kid, but nobody in his family is the slightest bit musically inclined, so his gift for music seems to be just that – a gift. “I sang in a talent show my freshman year in high school, and I’ve been singing ever since. 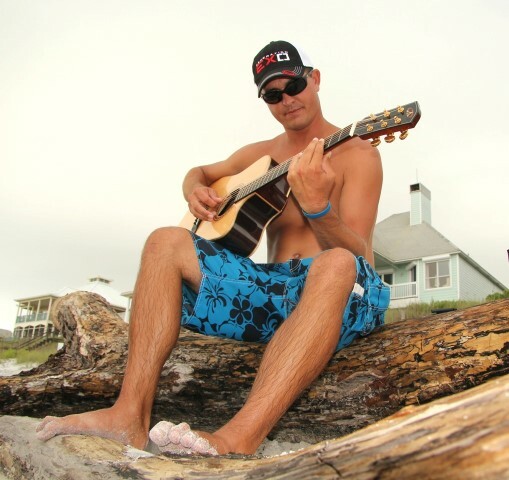 I’ve sung at beauty pageants, ball games and churches,” said Ashley, who lists Kenny Chesney, Garth Brooks and Eric Church as his favorite artists. 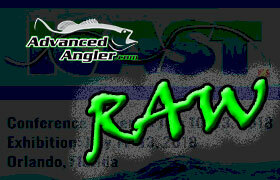 But it was actually a Bassmaster Open that began to tie one talent to the other. “I was fishing in a Bassmaster Open at Santee Cooper, and man, the dude that did the National Anthem butchered it. So I asked B.A.S.S. to let me try it the next day,” recalls Ashley. 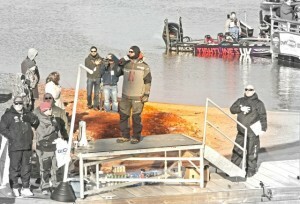 Years later, on his home waters of Lake Hartwell, there on an elevated platform in the frigid morning sunrise of Day One, stood Ashley, the pressure packed tournament favorite, belting-out “O’er the land of the free and the home of the brave” in a manner that warmed-up thousands of patriots present to cheer-on their favorite pros. 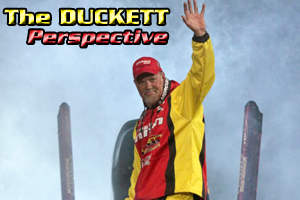 Three mornings later, he was back at the same dock doing photo shoots for sponsors Triton, Costa Del Mar and Quantum – with the Bassmaster Classic trophy in hand. “My love of words, lyrics, and music, is to the point that I can’t listen to music when I fish, because the words get in my head and distract me. I don’t even like to be in a crowded room where music is playing in the background, because I can’t hear the words like I want to,” admits Ashley. “Why lady why, it was easy before? I try, lady try but it ain’t easy no more. To be on my way would be the best thing to do. Why lady why, can’t I get over you?” – Alabama. 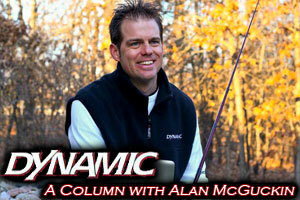 Advanced AnglerAdvanced Angler.comAlabamaAlan McGuckinBassBass FishingBass TournamentsBassmaster ClassicBassmaster Elite SeriesCasey AshleyDynamicFishingWhy Lady Why? 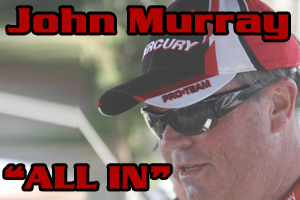 John Murray – Packing Up Fun with T.J.